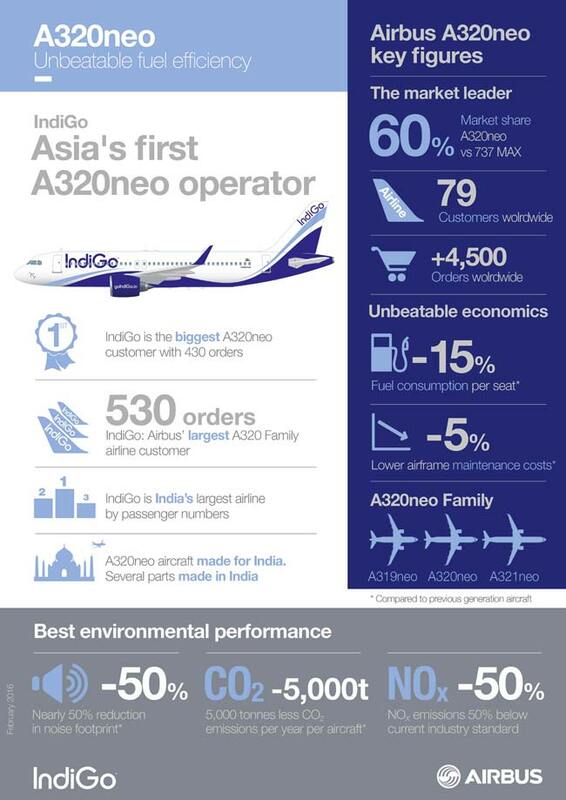 Indian carrier IndiGo has taken delivery of its first A320neo. The delivery makes IndiGo, which is India’s largest airline in terms of passenger numbers, the first A320neo operator in India and in Asia. It also makes IndiGo the second customer, after Lufthansa, to take delivery of an A320neo. IndiGo’s A320neos are powered by Pratt & Whitney PW1100G-JM geared-turbofan engines. 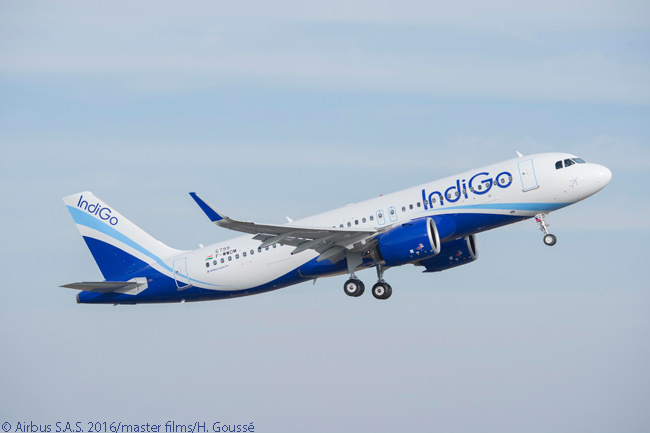 “The fuel-efficient aircraft will be part of a new phase of our growth and will enable us to offer more regional and international destinations at the best price,” says Aditya Ghosh, president of IndiGo. IndiGo is one of Airbus’ biggest A320-family customers and its biggest airline customer for the A320 family, having ordered 530 aircraft in total. These include 430 A320neos from orders placed in 2015 (250 A320neo) and 2011 (180 A32neo). IndiGo also placed an order in 2005 for 100 A320s, all of which it has received. Airbus has won firm orders for nearly 12,500 A320-family jets to date, including more than 4,500 A320neo-family aircraft. To date it has delivered more than 6,900 A320-family aircraft, to 300 customers and operators worldwide.